Visualize the phrase: “Floral arrangement” and you can almost smell it. 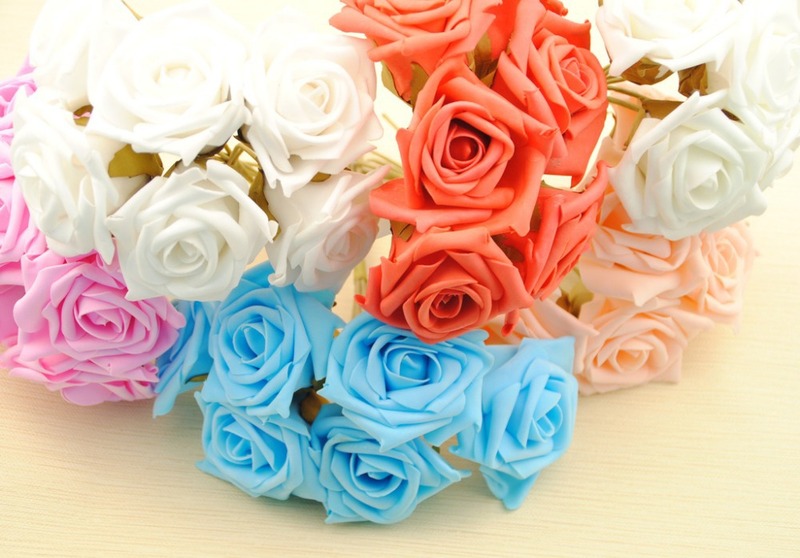 A glorious bouquet of fresh roses arranged festively or solemnly, depending on the occasion. These floral arrangements are undeniably beautiful, emotive and symbolic, and are a part of our culture. Our Judeo Christian never preclude the study of Lao Tzu, Confucius and the Zen, and Ikebana is indeed the Zen in the art of flower arrangements. The materials used for Ikebana are earthy freshly cut branches, vines, leaves, grasses, berries, fruit, seeds and flowers also the wilted and dried plants. Putting it all together is decidedly spiritual. An expression of spiritual resonance. In Ikebana floral arrangement, the material, the style of the arrangement; the size, shape, texture, volume and color of the container even the place and occasion for its display are all vitally important factors. Ikebana originated from a simple ritual flower offering made in Buddhist temples in Japan during the sixth century. In that initial arrangement the flowers and the branches both were made to point toward heaven to show reverence. With the passage of time this art evolved into a sophisticated style of arranging flowers called “Rikka” (standing flowers) in 15th century. Rikka was created by the Buddhist monks of the Ikenobo School. The Rikka depicts the magnificence of nature plus its display. The material used in it, were pine branches represent rocks and stones, and white chrysanthemums signifying a river or small stream. This style became quite famous in seventeenth century but worn as a decoration for ceremonies and festivities. Alas it is now considered old-fashioned and is rarely practiced. Japan too was affected by the Western Civilization after the beginning of Meiji era (1868– 1912) . The new style in Ikebana called Moribana, literally “piled-up flowers” brought a total revolution in this art. The traditional way was to gather different materials and place them in a container to emerge from a single point. Ohara the revolutionist made use of diverse types of supports to arrange the cut plants on an extended surface in wide but shallow containers called suiban meaning “water basin”. This technique introduced the usage of new imported materials which were never accommodated before in traditional styles. This allowed the conception of landscape style called “shakei” in flower arrangement. This gave way to show scenes from nature in a very naturalist rather more symbolic manner. Another prominent innovator was Adachi Choka (1887–1969), who implemented moribana but described his work simply as decoration. The innovation in the art of flower arrangement continued. After the Meiji cult Ikebana further improved as zen’ei ikebana or zen’eibana. This new form of Ikebana was even more expressive than the old style. Women were conventionally schooled in Ikebana, tea ceremony and calligraphy in training for marriage. Flower arrangement today is established as one of the traditional arts in Japan. People practice it on many occasions as ceremonies and festivities, modern people are still opting to study the art. At this time there are 3000 schools ikebana schools in Japan and almost thousand more worldwide. The most famous Ikebana schools are Ikebono, Ohara and Sogetsu. Most of the Ikebana school sprouts from Ikebono School even today Ikebono School alone has 60,000 teachers around the world. 15 million people in Japan practice Ikebana, typically young women. We can divide Ikebana approximately into two styles. Moribana which has a shallow vase style and second is Nageire having a tall vase style. Sogetsu School adapts array of kakei (patterns) for either style consequently even an apprentice can swiftly generate their own arrangements. All the Ikebana schools mainly emphasis on the basic rule of proportion between material and container or the other way round. It requires the existence of three main lines: Sky, man and earth. And these lines are affixed in the container in certain preset sizes and angle of inclination. The rules of Ikebana teach sensitivity for balance and proportion and also the well-balance coexistence of weak and strong material. It brings you closer to nature. Ikebana, for the one who knows the spirit of this art is more than just a way of flower arrangement it’s a complete different perspective of showing life and reverence. Sogetsu School that is just dedicated for Ikebana was formed by the founder Tofu Teshigahara in 1927. He adopted modernity of art and fused it with historical traditions of Ikebana. After his death in 1979, the school was monitored by his daughter Kasumi Teshigahara. Unfortunately due to her untimely death in 1980 school was followed by her brother in 1980 Hiroshi Teshigahara. Hiroshi Teshigahara being already the famous movie director and ceramicist introduced advanced impulses into the teaching of school. It’s the result of his devotion for the art of Ikebana that today ikebana has gained more and more acknowledgement even in the western world. After his death in 2001 his daughter is supervising the school. Ikebana has always considered as an asset in Japan and learned with respect and devotion.